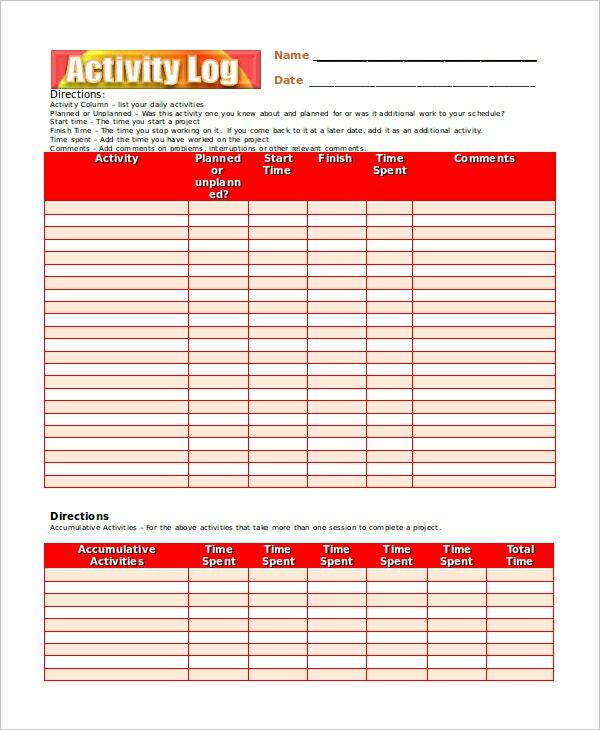 Activity Log Template – 12+ Free Word, Excel, PDF Documents Download! When it comes to important meetings and appointments, most of us tend to be forgetful. That can create problems, especially if you make such silly errors at your place of work. 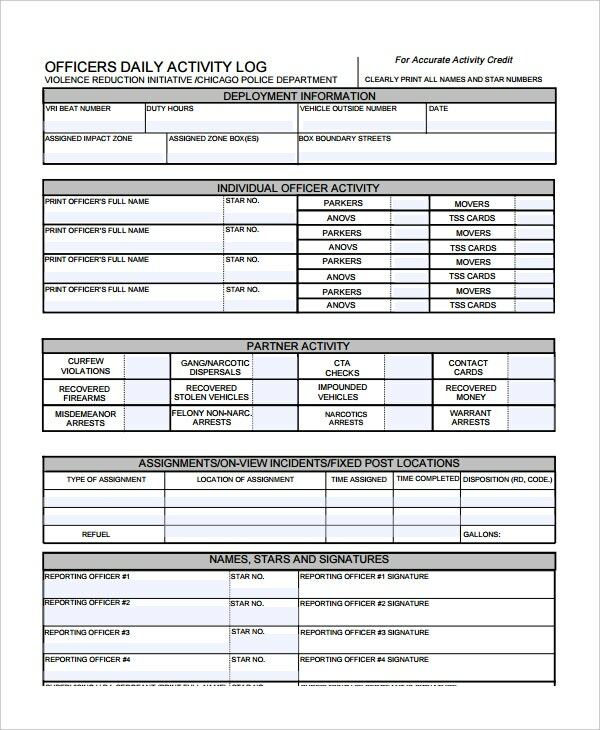 If you have busy days coming up, it might be time to come up with a detailed activity log. It is a lot like a to-do list, and can be for a particular day, week or even month. However, a to-do list is very specific and is usually limited to one particular activity or a particular day. 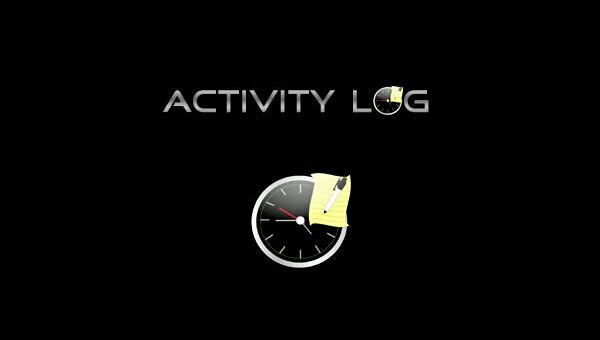 The term activity log has a wider scope, really! 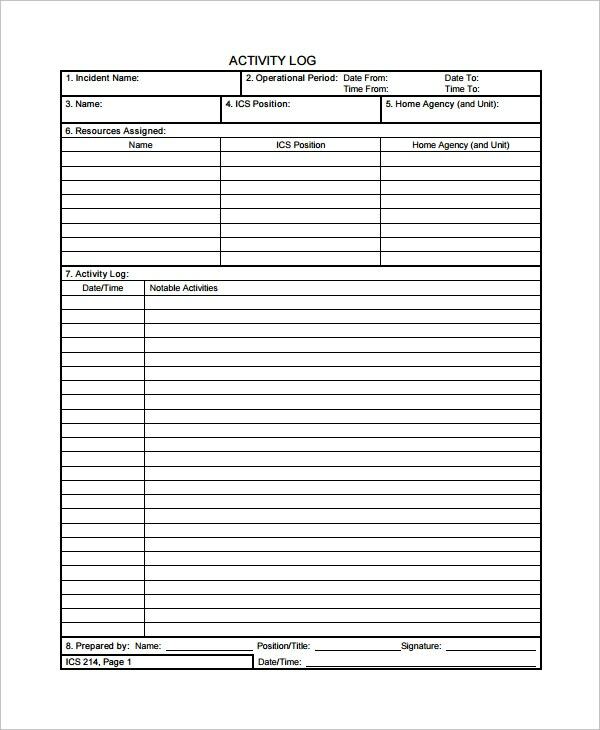 In order to make a note of you activities, you should use an activity log template. 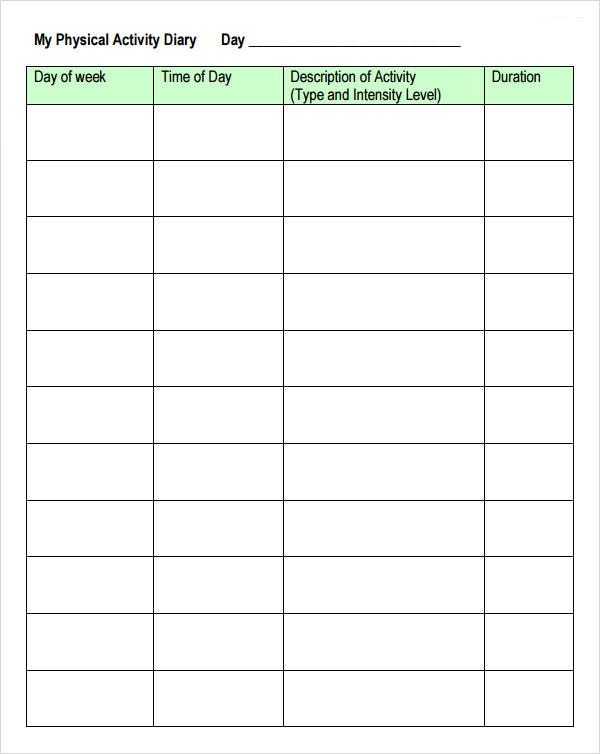 A good activity log template Word will be easily downloadable and editable. You can even customize it the way you please. You can modify the details and even update them whenever you want. You can insert the activities lined up one by one, and in an organized manner too! Once you do, you won’t have to worry about losing track ever again. 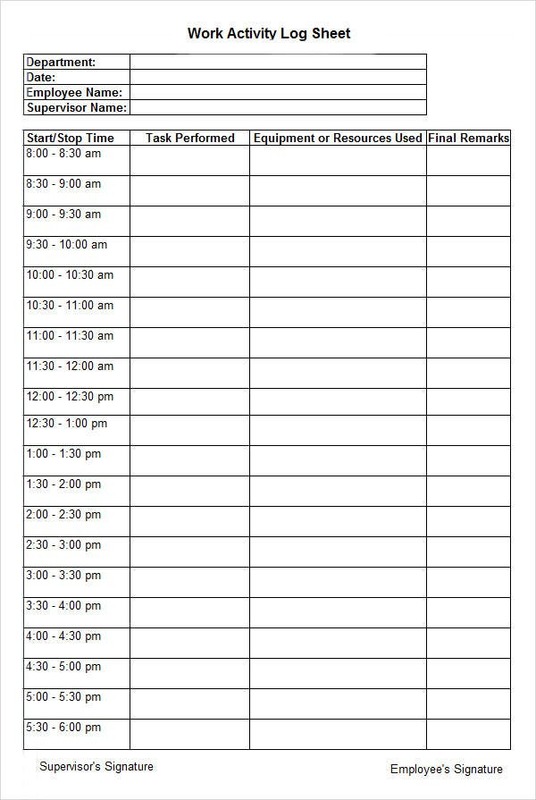 Daily activity log templates – The daily activity template is a list of all the activities you have to carry out in a day. You could make the list the night before and follow it through the next day. Daily workout log template – For those on a journey to get back in shape, you need to follow a strict regime when it comes to working out. 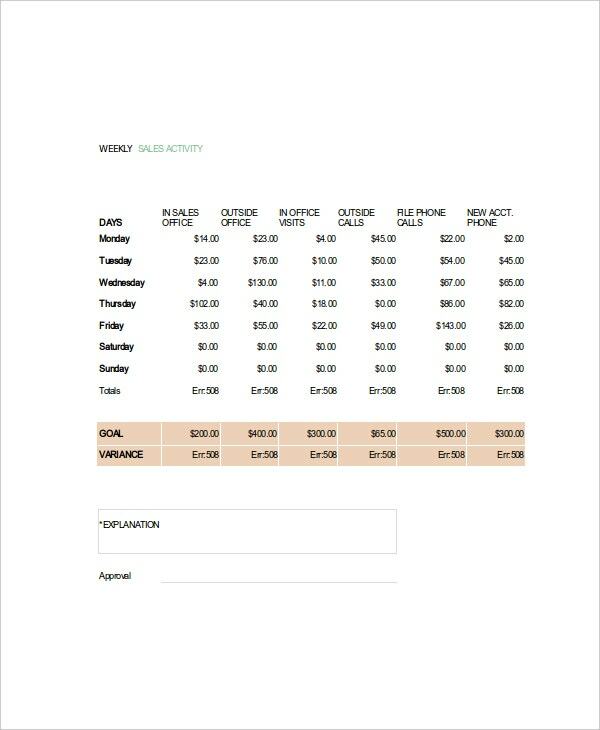 For that, you could take the help of this daily workout log template. Weekly activity log template – Do you have lots of events lined up this week? 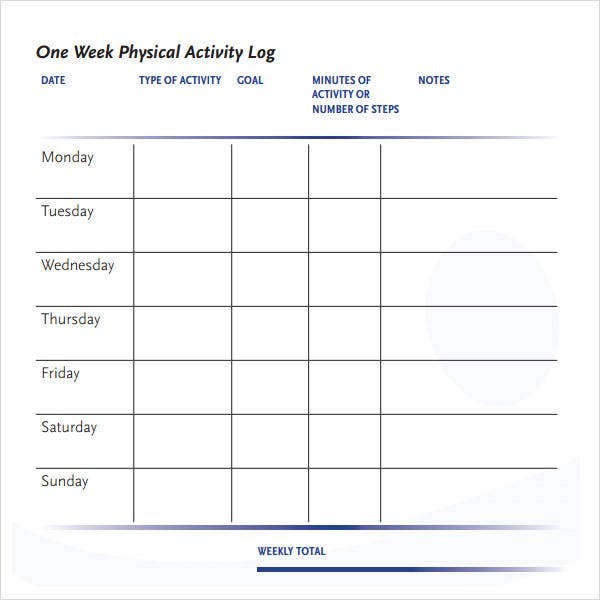 Then you could use a weekly activity log template to help you out. You would be able to plan your events well in advance this way. It would make sure that you never miss out on important events. With such templates, you’ll be able to plan your activities and your days in an organized fashion. 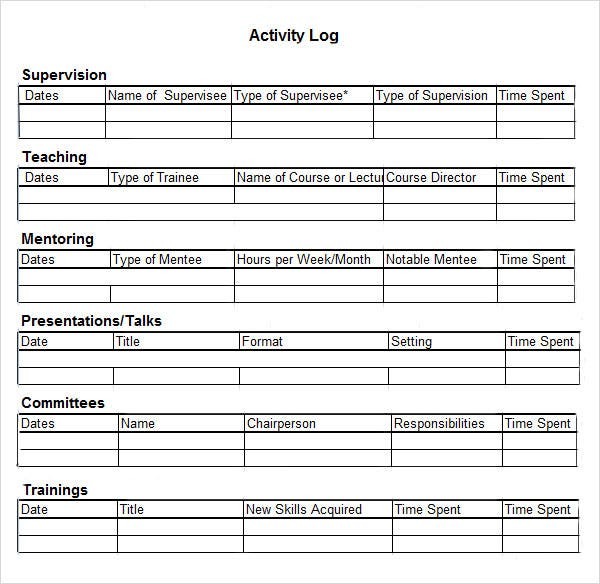 > Why go for Activity Log Templates? 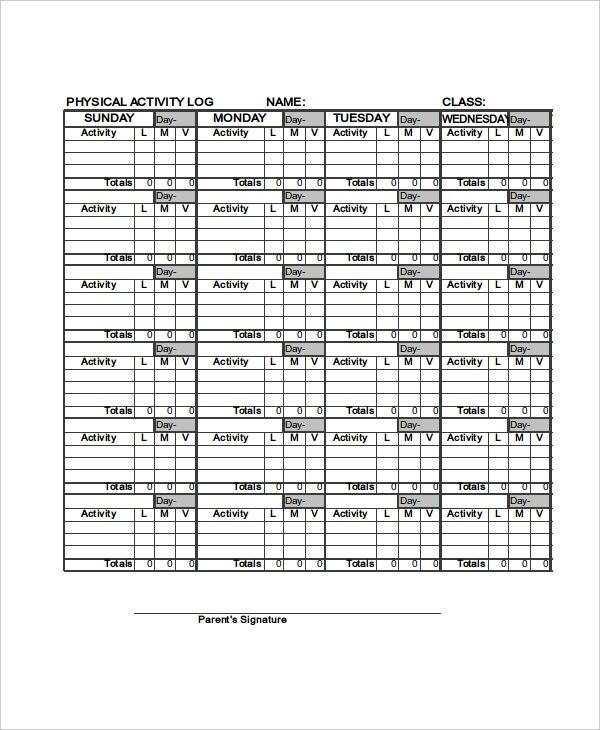 Activity log templates are the best options if you want to plan your day or week in an organized fashion. With this template, you can keep a track of all your upcoming events, and make sure you do not miss out on anything. 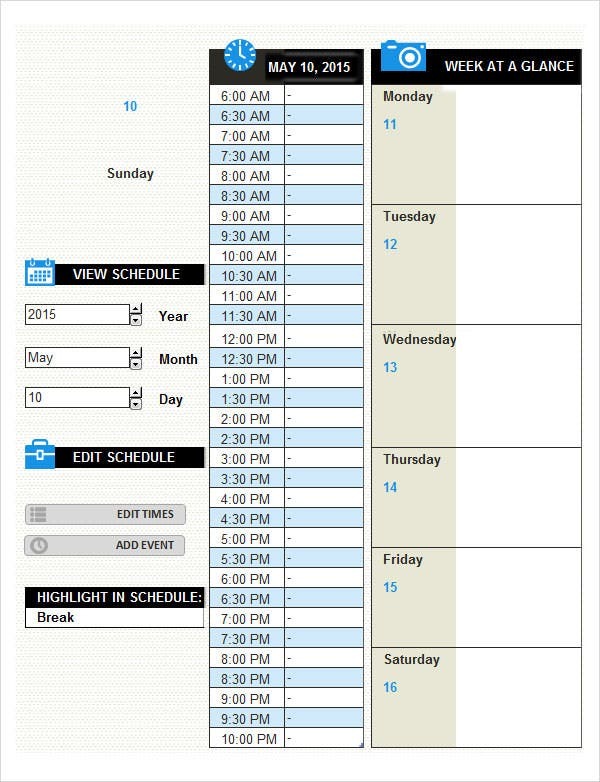 In order to create a good activity log, why don’t you try out some activity schedule templates? These templates are really easy to use since all you have to do is hit the download button. You will also be able to edit and customize the daily log templates. 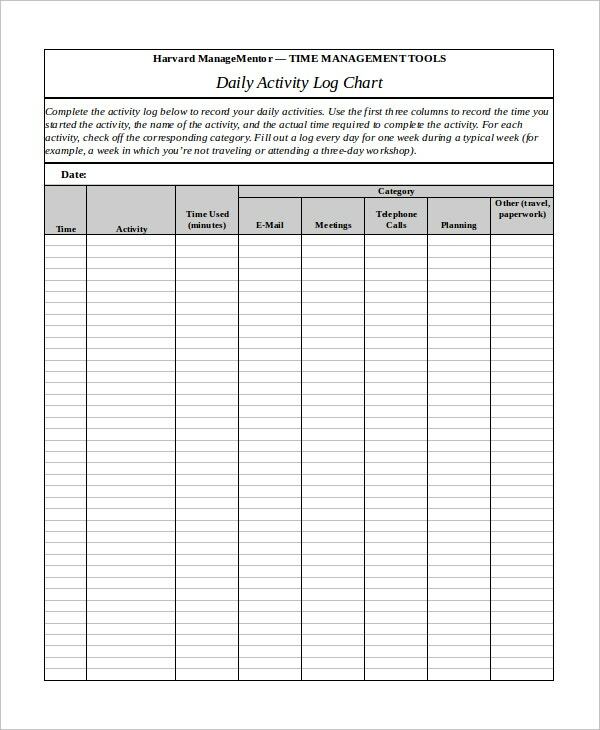 Choose the activity log template which you think would help you plan your day. Go for templates that are both efficient and attractive Work Log Templates. If you’ve been looking for the best activity log templates, then you’ve come to the right place. Template.net has some of the best professional and well designed templates in store for you.